On-board Android OS that makes it convenient for the users to have almost all the whiteboard apps for free. Comes with MimioStudio™ classroom software and a free-license that includes 3 MimioMobile users. 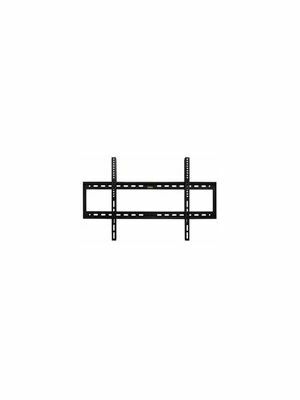 The BOXLIGHT ProColor 752U interactive flat panel display is a choice of every modern education system. Owing to its features, the ProColor 752U interactive flat panel display comes with UHD 4K resolution that connects the students with content. 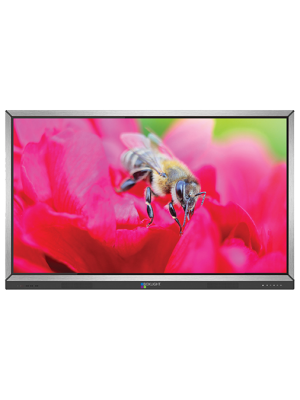 With its ultra-high brightness and contrast ratio, the ProColor 752U interactive flat panel display is capable of delivering vibrant colors in highlit and semi-outdoor environments. The elegant Android based UI features a variety of useful apps to help teachers further enhance the interactivity and convenience. The ultra-modern IR touch technology that brings a whole new world of collaboration by allowing 20-touch operations at a time. Now, every student of the class will get a chance to collaborate with fellow students and enhance teambuilding skills. The ProColor 752U interactive flat panel display presents a huge screen of 75” with a wide-viewing angle and the UHD 4K resolution delivers rich visuals, now all the students in class will be able to see every single detail of the content regardless of the seating arrangement. Due to the fact that it is not always the quality of your content that captures attention of the audience, there are many other factors such as the ambience, technology and the way you present. 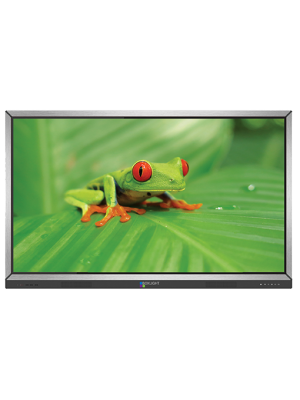 The ProColor 752U interactive flat panel display doubles the attraction of your content with its UHD 4K resolution and huge 75” screen. 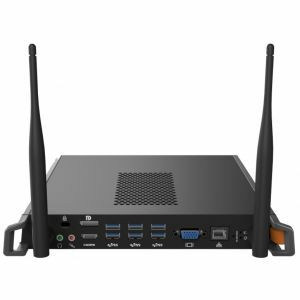 The ProColor 752U interactive flat panel display is equipped with Android OS which allows users to download hundreds of apps for free and get the desired output. Now, you do not have to rely on a single software provided by the manufacturer, just go to the Android app store and download your desired app with just a single tap. The MimioStudio classroom software is tool specifically designed for educational purposes. Teachers can make their work a lot easier and interesting with this tool. The MimioStudio classroom software allows users to create and deliver the content with on-spot assessment of the students. 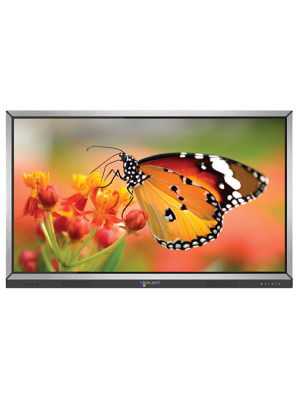 The ProColor 752U interactive flat panel display offers 20-point multi touch or 10-point dual touch operations that have never been introduced up till now. The popular IR touch technology allows touch activities with a finger, stylus or a gloved hand. 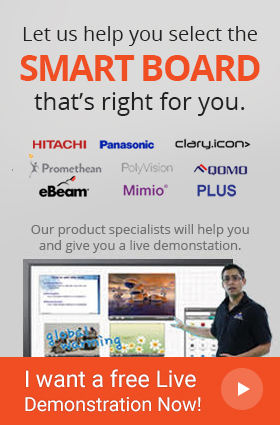 The ProColor 752U interactive flat panel display empowers students and teachers to collaborate and brainstorm new ideas. This feature helps students to enhance critical thinking and creativity.